Built specifically to work as a cinema lens product, the Rokinon Xeen 85mm T1.5 Lens proves to be a formidable piece of equipment. As a Canon EF mount, this product makes a lot of significant promises, in terms of what it wants to accomplish as a cinema lens. At the end of the day, while its benefits are fairly specific, in terms of who can take advantage of them, there is still a lot about the Rokinon Xeen 85mm T1.5 Lens for Canon EF Mount that is worth paying attention to. In terms of features, the Rokinon Xeen 85mm T1.5 Lens offers a lot. The internal focus design aspect is nice. It means the lens isn’t going to change on you during focus, which should minimize breathing. A multi-coat for each lens ensures solid contrast, glare elimination, and colors matching well to factory standards. Assembling your set over time won’t mean significant color shifting. It is worth noting that the 85mm T1.5 Lens from Rokinon is a manual-focus/iris lens. Automatic capabilities for both focusing and iris are not available. The cinema focus and iris gear component can be found in the same position through each lens in your Xeen set. What this means is that you can make your needed lens changes in a timely fashion, and you won’t have to reposition things like the follow focus unit or iris motor. Given that the image circle is capable of covering a full frame sensor, you can rely on this product for closing the distance to the background, which makes it nice for a portrait or a close-up. Furthermore, the dual-calibrated focus with the left and right sides and the T-stop scale is well-handled on this lens, as well. Because of this, the focus-puller can function from either of the sides of the lens, and you won’t have to have your lens in your mount flipped. The 3′ 9″ focusing distance is yet another feature, given that it lets you get as close to your subject matter as you need to get. 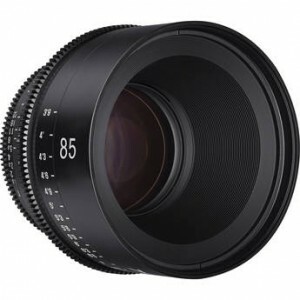 As you can see, the Rokinon Xeen 85mm T1.5 Lens for Canon EF Mount is worth a look. The lens delivers on a variety of fronts, and it allows for the user to keep up with a broad range of demands and potential subject matters. It works exactly in the way that it’s supposed to, which is always nice to have in your corner. With so many keyboards on the market, finding the right one can be daunting for a beginner. To that end, you may want to look to certain brand names. There is no question that Casio is one of the all-time greats, in terms of companies that can deliver a high-quality, affordable keyboard product. The Casio CTK-3200 is a good example of what they can do. 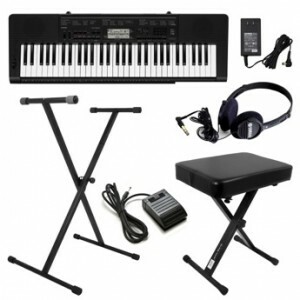 Ideal for beginners, the Casio CTK-3200 61-key Portable Keyboard is a great example of what Casio is capable of. Throw in everything you get through purchasing the value pack edition, and you’re looking at what may amount to the sound keyboard investment you’ve been searching for. This touch-sensitive keyboard packs a lot into its attractive, easy-to-pick-up-and-play design. Over four hundred onboard tones are available, in addition to one hundred-and-fifty rhythm and digital effect options. There are a number of great features associated with this keyboard, including the Step-Up Lesson System, which is arguably one of the best things Casio has ever come up with. You will also note audio input capabilities for MP3-players, which makes it a relative snap to focus on learning how to play your favorite songs. Also useful is the USB-port for MIDI implement. You can even take advantage of a pitch-wheel, which allows for further expressions over the sound. The keyboard for the Casio CTK-3200 brings to mind the design and functionality of an actual acoustic piano. With exceptional touch response capabilities, you shouldn’t have any trouble adding various subtleties to your tracks. You are in complete control of the degree of pressure you apply to the keyboard, and that is always something to look for in a worthwhile keyboard product. The sampling function is also tremendous. Not only is it easy to upload the sound you want to sample, but the keyboard also does a nice job of giving you a variety of ways in which to utilize that sound. You can even use the sampling aspect to create entirely new sounds, by combining a sampled product with an accompaniment pattern. And if you are indeed a beginner, both the Step-Up and Music Challenge features are going to prove to be extremely useful. In other words, this keyboard is great for experimenting, figuring things out. When you are ready to progress to more complex endeavors, the keyboard will keep up. Throw in everything else with the value pack, and it’s hard not to be impressed.